The introduction to the game that players would find before playing. masterpiece. 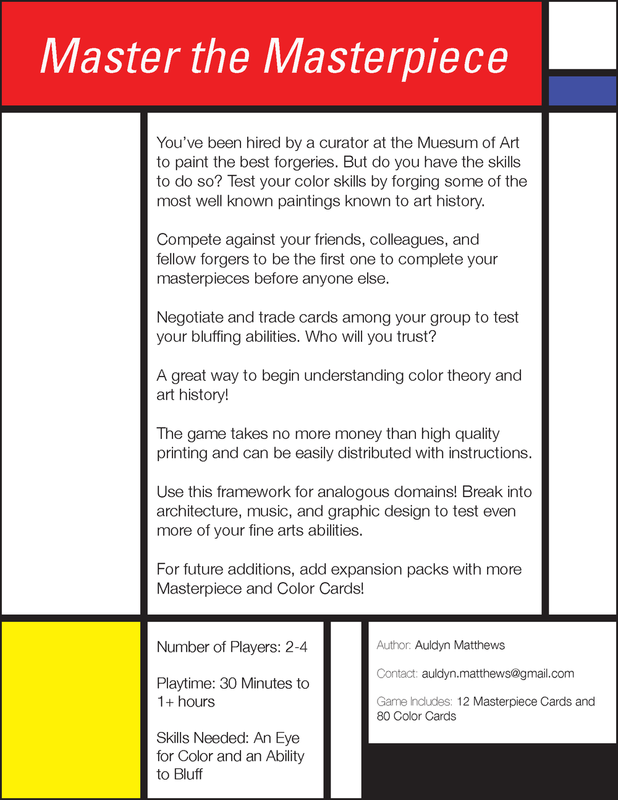 The first forger to finish 3 masterpieces wins the game. The Process : This game was part of a class at Carnegie Mellon University, "Game Design," with Jesse Schell. The objective of this assignment was to create a game to playtest at least 3 times. I was able to do 6 rounds of playtesting, which I found was a similar iterative process to experience design. 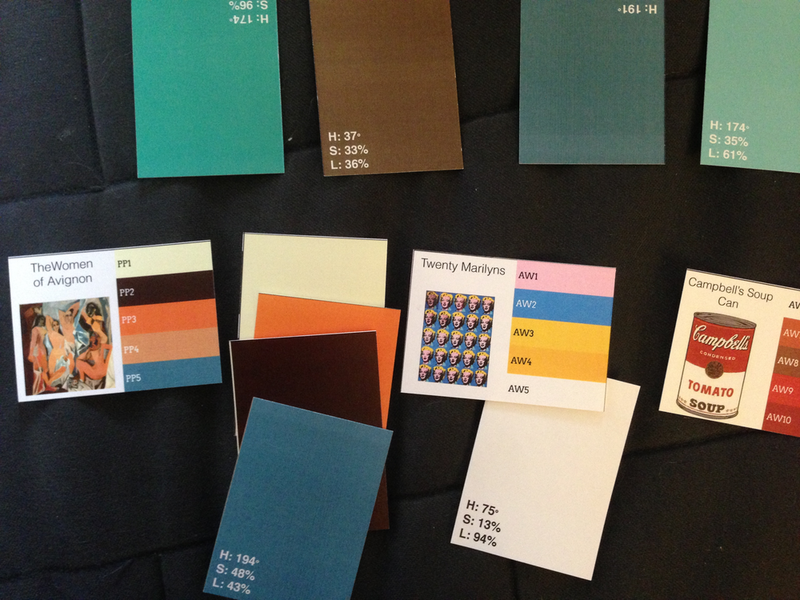 First, my game was to just match colors and didn't have the component of being an art forger. However, as I iterated through, I found the storyline to keep people having fun with calling other players out. This not only helped with practicing color theory by checking each other's colors, but also added an interactive element to the play. Finally, I created a themed introduction sheet (see image to the right) to enhance the experience in the theme of art history. Without beginning the game, players already knew from the visual design the game's experience. 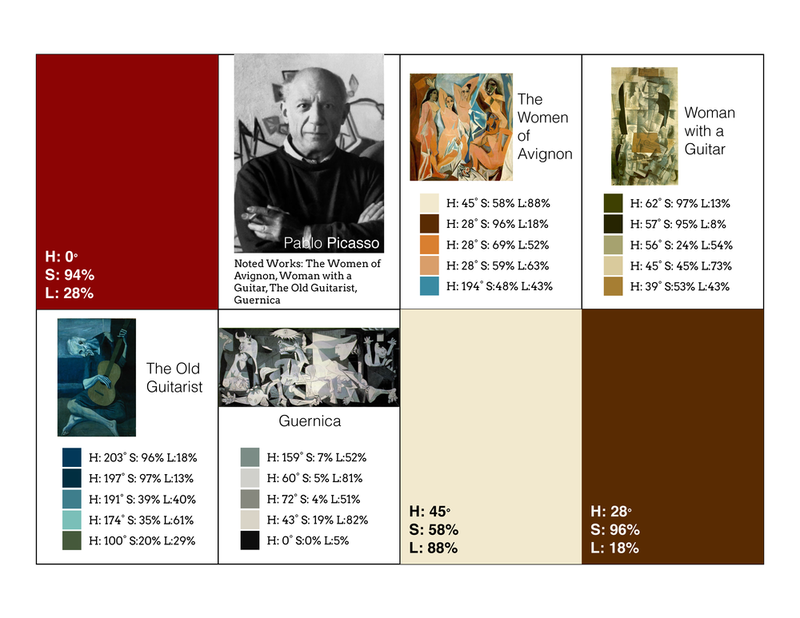 This was key to making the experience about art, art history, and color theory from beginning to end. I also kept all of my playtesting notes in a spreadsheet here. This allowed me to keep a clean and organized history of the changes I made. I found this organization to be incredibly helpful as a reference to reflect on the game design and playtesting sessions.